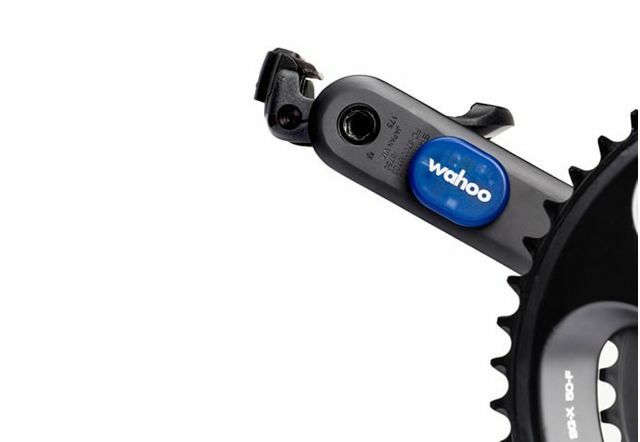 Wahoo has added yet another low-power Bluetooth sensor to its range of bike fitness gadgets. The RPM is a cadence sensor which works without magnets, or bulky attachments on the frame, and talks direct to compatible apps on your iPhone. Cadence is one of those things that bike nerds like to count, because bike nerds like to count pretty much anything. I have a cadence sensor on one of my bikes (it came in the box with the Garmin EDGE 500 I use on all my bikes), and while I can confirm that it outputs numbers, I can’t say much more than that as I’m usually more concerned with hawking a good loogie to flob onto a car parked in the bike lane than I am with the number of pedal turns I crank out in a second. But if you do need that info, bow you can add it to the rest of the Bluetooth sensors dotting your bike like electronic carbuncles. Better still, you can do it for just $50. Available now.